A multinational medical company with the potential for 1,200 new jobs and a Korean boiler manufacturer aiming to open on the Advanced Manufacturing Park (AMP) are two key prospects for the Sheffield City Region Local Enterprise Partnership (LEP) as they hope to foster the creation of 10,000 new jobs over the next decade through inward investment. LEPs are the government's new model to promote economic development. The private sector led boards provide the strategic leadership required to set out local economic priorities, and better reflect the natural economic geography of the areas they serve. A combined inward investment team for the Sheffield city region (SCR) called SCRInvest has been working alongside local authorities and national bodies such as UKTI to generate more leads from new investments. Since SCRinvest became operational in 2011, there have been 23 investment successes sourced by the LEP/UKTI, resulting in 1,264 new jobs. The Strategic Economic Plan for the region sets ambitious targets for private sector growth and includes the ambition to attract 10,000 jobs over the next ten years from organisations based (owned) outside of the city region, including at least one internationally significant investment by a major original equipment manufacturer. The SCR economic development budget is reliant on receiving cash from business rates growth in Enterprise Zones. This cash will be used to repay the £1.1m inward investment "loan" that was advanced to the LEP by the districts between 2012/13 and 2013/14. The work of the inward investment team involves flying the flag for the city region at high profile events like the commercial property expo, MIPIM in France and tradeshows such as OMTEC in America and the Singapore Air Show. Closer working with UKTI, the government organisation that supports UK exporters and encourages overseas investment in the UK, has seen the number of project leads for investments from UKTI go from three in 2011 to 48 active projects in the SCR's pipeline. For example, a multinational medical company has shortlisted a number of sites across the SCR for three expansion sites, with a potential for 1,200 new jobs. The project was identified through UKTI and a competitive proposal was gathered with input from across the region. During the site visit, leaders and chief executives from shortlisted sites met with the company and support was also provided by the Master Cutler and many members of the Universities and private sector. Another inward investment has seen a Korean boiler manufacturer entering lease negotiations following a visit to a number of sites in the region. It is looking to set up temporarily for the first two years and aims to relocate to the AMP in Rotherham. The company was strongly considering London as a first option due to the Korean community, but have now decided on the Sheffield city region. The inward investment experts are now set to work more closely with members of the region's private sector, who have experience of dealing with overseas ownership or have multiple sites, in order to develop high profile connections, improve branding awareness outside the region and identify and engage with large organisations capable of making large investments. 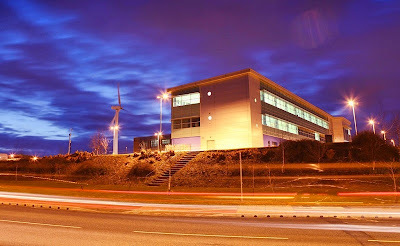 Ellen Cutler, inward investment director for the SCR, said in a report to the Sheffield City Region Combined Authority: "Although the initiatives have delivered several notable successes for the city region in recent years, it is recognised greater coordination and private sector engagement is needed to enhance the effectiveness of inward investment activities going forward. In addition, strong governance of inward investment activity will improve outputs. "An Inward Investment Board is proposed to be established, tasked with agreeing a medium to long term vision for inward investment growth within the SCR, and advising the LEP Board on appropriate initiatives to achieve this."